It's exciting to see Bricktown booming with construction. New thread, I'm guessing the permit was approved? It's going to be a real shame 5 years from now whenever everything is built, developed, and booming and all of these newer buildings that have been picked over by the design review committee will be nestled next to the out-of-place Residence Inn. Are those condos that are in the ground plans just speculative or is there actually some interest to build some there? I can't believe no one has taken the first step into building a substantial condo building downtown yet. Interesting article pertaining to hotels and occupancy rates. Am I the only one that finds it alarming that we are in the top 20 markets for new hotels being built but we are dead last in occupancy rates for major cities? Adding hundreds and hundreds more rooms doesn't seem to make any sense. That's a city wide rate that I think downtown is blowing away, no? Actually, the numbers in that survey are for the entire state. Maybe I'm not seeing the whole picture. I know I had a friend come into town this weekend and Bricktown had 2 music festivals, a baseball game, a new nightclub opening, and overall beautiful weather. He jumped online and there were plenty of rooms available on Travelocity and he ended up at Aloft for $100. You'd think they'd be completely full with so much going on and they were instead slashing rates. To echo what Pete mentioned those figures are for the whole state which amid the crisis with the oil prices does make sense. 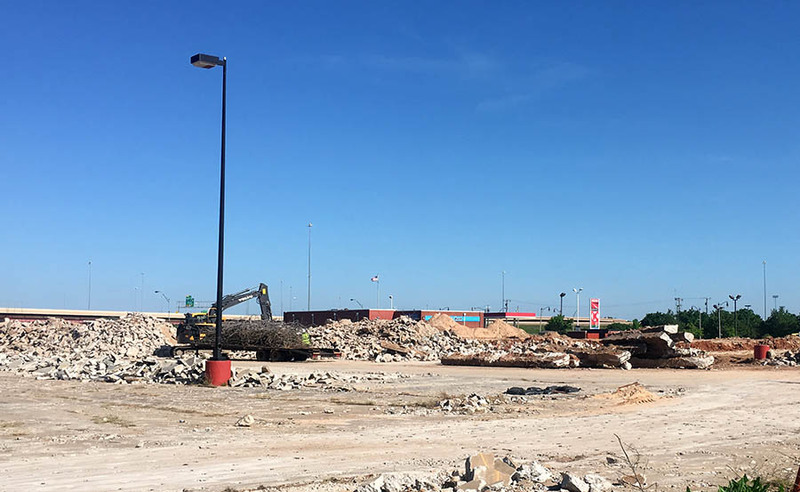 Oklahoma City area is poised to continue with adding hotels, parking and more rooms to get us ready post 2020 when the new convention center complex will be ready to open its doors. 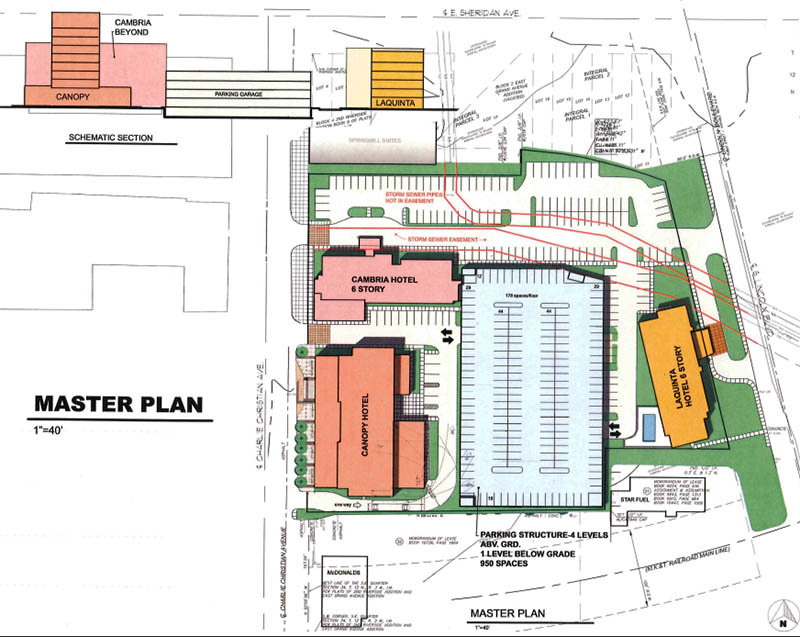 Also, I wouldn't be surprised to see the Omni conference hotel development proposal include a residential piece resubmitted to include a private development much like what transpired in Louisville; there are developers who might want to get with Omni to make this happen. Wouldn't look for anything more than 5 additional stories. 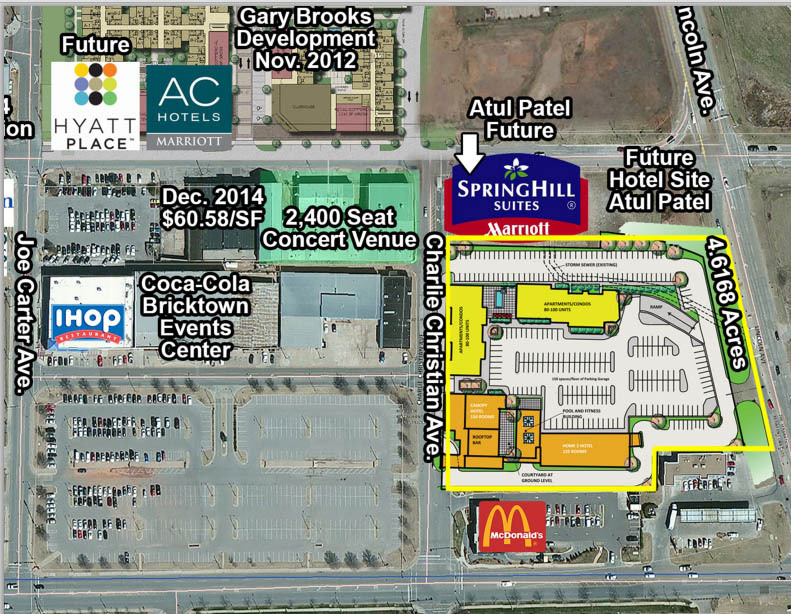 Is the previous site plan with the Cabria and La Quinta hotels no longer planned? The above plan doesn't seem accurate when compared to the rendering of the Canopy (e.g. no drop-off facing Charlie Christian. Rooftop bar is on northern end of Canopy rooftop, not southern. I ask, because I found the La Quinta/Cabria/Canopy/Parking Garage with Apartments much denser and appealing. Is RBA the architecture firm on this one? Its been a while since i last saw anything about this project. Is it still moving forward? The building permit was just recently issues so we should start to see work there soon. They still planning to build the apartments/condos? No, the plan changed some time ago where there will eventually be two other small hotels on the site. Well that’s a fail. They just don’t ever expect the urbani fabric to continue east? That whole area could be rebuilt with a new grid and become a great neighborhood between Lincoln and MLK. So you're finally on board with getting rid of I-235?????????!!!!! Two More hotels? I'm sure everyone does research for when there are enough. It may be a few will get converted to apartments if things get overbuilt. Unlikely that downtown hotels will have issues, it will force lower room rates in the suburbs though. 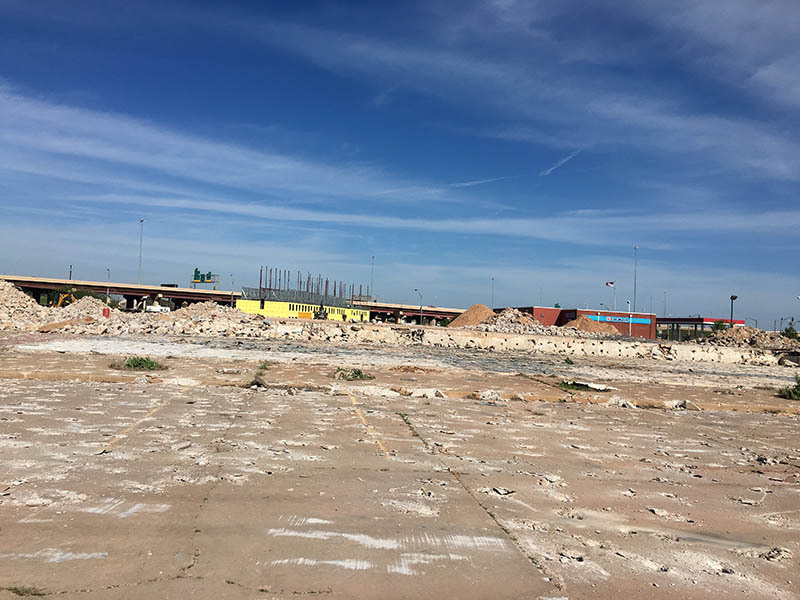 I spoke with a Bricktown hotel general manager not ago who mentioned that she felt there is a oversaturated hotel market in Bricktown. She said its vary rare that any particular hotel in that area is more than 35% full. Its surprising to me, knowing that fact, that hotels continue to be built there. Downtown hotel occupancy remains relatively strong although that could change with all the new hotels opening soon. I've always wondered, do hotels need random consistent bookings to stay afloat, or can they survive on just major events that cause rooms to book up and rates to soar? I am sure there is a balance, but if last weekend was any indication with the Lady Gaga people here, then I am sure the hotels are doing just fine. Bricktown was madness. There was lines to get into everything. City aims to rejuvenate its "green canopy"